Can You Use Chromebooks in a Business? It’s safe to say that the company’s Toshiba Chromebook made a good first impression on me because it was light, easily portable, and wicked fast. After retrieving it from the cupboard, I placed it on my office table and watched as it booted up within a couple of seconds. It was immediately after this that I began to struggle with the idea that the Chromebook was browser-based and cloud-based. I had to get used to opening up Google Docs in a tab on Google Chrome, which honed in on the fact that the files were stored in the cloud instead of on a hard disc drive. I also had to get used to using the “Make a Copy” button whenever a wanted to save a substantially changed document, which would automatically save to “My Drive” instead of any of the folders I had created. My next problem in working on a Chromebook was getting used to the small screen (most Chromebooks have screens between 11-12 inches). Some of you might not be bothered by this, but I found it difficult because I usually open up multiple tabs and windows for research and writing purposes. Luckily the office had a spare monitor and keyboard lying around to connect to the Chromebook, which made the work a bit easier. 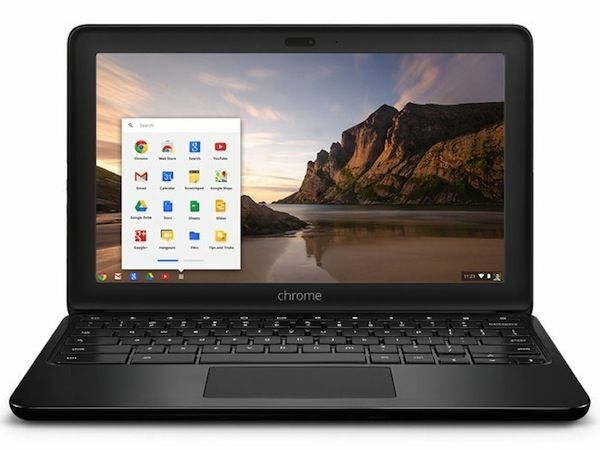 After getting used to working on a Chromebook, I became surprised by the Chromebook’s range of features and functions, and how they benefited me. For starters, I found that the Chromebook continued to work super-fast even after I had opened tonnes of tabs and windows, despite reading reports from other users saying their Chromebooks would slow down. I also began to appreciate the focus on sharing documents, rather than emailing them, because the sharing aspect allowed me to see my colleagues providing real-time edits, suggestions, and comments on any documents I had created. I even eventually became happy with the idea that my files were stored in the cloud because I knew that my files would be safe if something happened to the Chromebook. In working on the Chromebook, I was able to find ch eap, free online alternatives to software that I would normally install. As mentioned in previous posts, I was able to complete my basic design needs, such as changing the size of images, by using Pixlr. 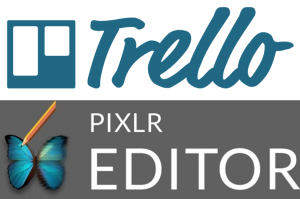 I also began to use Trello, a project management application, to keep track of my tasks. So… Can You Use Chromebooks in a Business? As with my previous post on Chrome OS and Chromebooks, I think this question depends on what your employees/contractors require. If they mainly require internet connectivity and office suite programs, then I would say that you can use Chromebooks in a business. I certainly found that the Chromebook catered for all my needs as a copywriter and blogger, and performed my tasks without too much hassle. I think that there are definite pros to working on a Chromebook. I like that Chromebooks are lightweight, fast, portable, and that they pack a punch when it comes to working on the fly. I like the fact that Chromebooks automatically backup files online, and do so in a safe way. I also like the focus on sharing documents, because it fosters collaboration between colleagues even when they’re not necessarily sitting beside each other. I can imagine that business owners would also love how simple it is to manage and set up Chromebooks, and for that reason alone might use Chromebooks in a business. 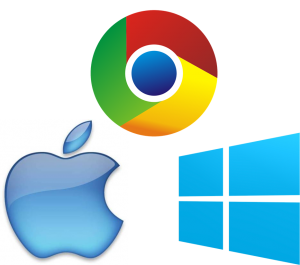 The low amount of cost and time of getting a junior employee or a contract set up with a Chromebook would easily beat the time and effort you’d have to spend to set them up with a Windows or iOS workstation. If you look at the figures, people across the glob e are gravitating towards buying Chromebooks. According to UPN research, 4.5% of computing devices sold in the US this year were Chrome OS devices (up from 3.3% in 2013). Compare this with 26.8% being Mac OS devices (up from 24.2% in 2013) and 68.4% being Windows OS devices (down from 72.3% in 2013), and it seems like there’s a bit of a change going on. No doubt a reason behind this is the Chromebook’s positive impact on the education sector, but with such competitive pricing and the rise of cloud computing as a concept, I think we can expect to see this upward trend to continue. Leave us a comment below on whether you think you can see yourself working on a Chromebook, and whether you might use Chromebooks in a business. Daniel is a copywriter, reviewer, creative writer, and online blog writer. When he's not writing, you'll find Daniel snorkelling, hiking, or curled up with a good book. Daniel is currently writing full time as part of Curtin University's Marketing team.